Join BECTU for a special screening of Kettling of the Voices (2015). 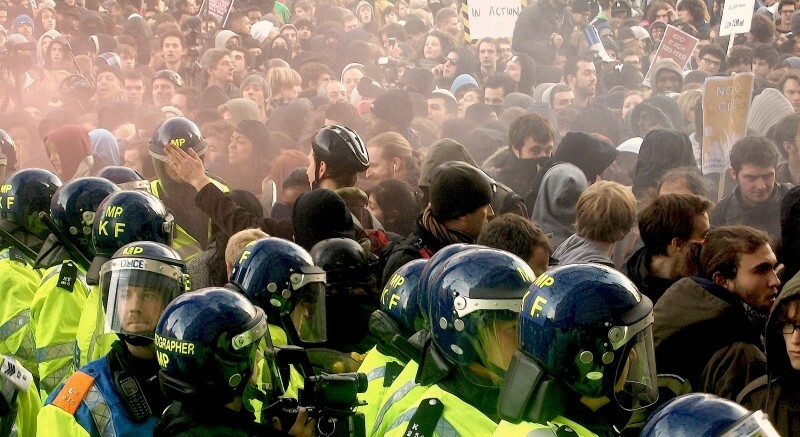 Kettling of the Voices explores the events and aftermath of the student protest against the rise in tuition fees in winter 2010. Featuring never before seen images of police brutality, and some of the key characters that are still facing persecution for protesting,as well as the developments in the legality of the kettling technique in the European Court of Human Rights, the 2010 protest is responsible for the politicization of a whole generation and its consequences are many. But what does it say about the state of our democracy and our wider political situation today? The screening will be followed by a Q&A with filmmaker Chester Yang. Doors open at 18.45 for a 19.30 start. Tickets £6 for BECTU and Prospect members, £9 for non-members plus booking fee. Advance tickets may be purchased from Eventbrite.